Could anyone of these matches actually be on the Wrestlemania card? WrestleMania may not be the same blockbuster show that guaranteed that same quality entertainment many of you grew up with; however, no one can deny that WrestleMania is so embedded in pop culture that it's hard to imagine any other wrestling event trying to top the spectacle of the showcase of the immortals. From classic moments to unforgettable twists, there is one thing that ensures the success of a Wrestlemania, and that is its match card. Over the years, WWE has put together a spectacular card for their biggest pay-per-view of the year, as dream matches, highly contested barnburners, and World Title contests have been offered at the request of the fans. We are just more than a month away from the event and the speculation regarding the matches at Wrestlemania is starting to take shape. Some of the rumours have been swirling around for a year while others have popped up in the recent weeks. While some of these might be pure speculation by the wrestling world, others seem a bit legitimate. So let us go through each rumoured match for WrestleMania. This narrative has to conclude at some point. The WWE Universe may have many complaints when it comes to WWE's handling of their storylines, superstars and match cards, but the one thing every fan tends to agree most of the time is that Smackdown Live is a quality wrestling show. From AJ Styles owning the main event to legends like Randy Orton keeping the mid-card on lockdown; Smackdown Live is in good hands. Furthermore, the fact that WWE's deal with FOX will see Smackdown become the most important show in WWE, raises the excitement levels amongst the fans immensely, as everyone is eagerly waiting to what's coming. But if there is one feud on Smackdown Live that is truly the black sheep of its narratives, it's the monotonous angle that involves The Miz and Shane McMahon. Now putting the Miz and boring in the same sentence just doesn't feel right, as he has been an integral part of WWE success ever since they started booking him as the megastar since 2016. But, this narrative with Shane is just not working out. From sorting out their daddy issues with each other to actually becoming Smackdown Live Tag Team Champions, WWE has put in a lot of effort into a story that fans don't really connect with. 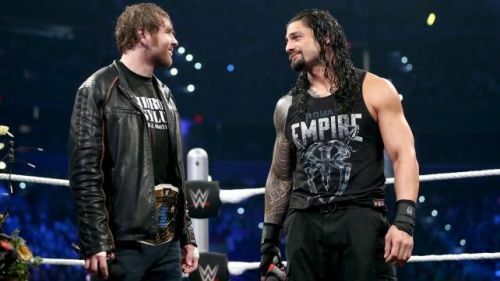 And it seems this narrative will conclude soon, as rumours from Sports Illustrated have reported that the storyline surrounding Shane and Miz was meant to culminate at the showcase of the immortals. Yeah, you heard that right, WWE actually booked it to end in a one-on-one match at Wrestlemania. 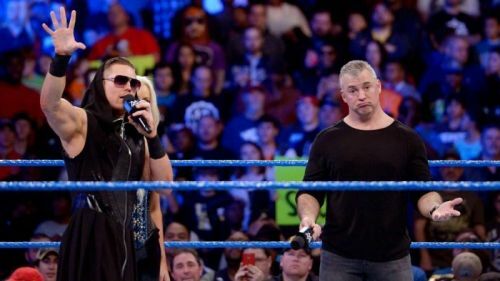 Why WWE feels Shane McMahon deserves his own storyline and match at Wrestlemania for the fourth year in a row is really unknown to most, but we are getting it anyway, and maybe WWE will make the most of it this time around. According to another rumor, it seems that Shane might turn on the Miz at Fastlane in their Smackdown Live Tag Team match against The Usos, which will see the prodigal son take on a heel persona after many years. This obviously leads to a match at Wrestlemania, which will see these two tag team partners sort out their differences. Now, Miz as a babyface and Shane betraying his partner for reasons that might not motivate a heel turn sound like a bad idea to most. You never know though, WWE could make it work.